One of the problems with keeping this blog updated is my perfectionism is I rarely hit post on this blog (I have a lot of half written drafts for blog posts). I start writing a lot of entries and then decide that its not good enough and just don't hit post. 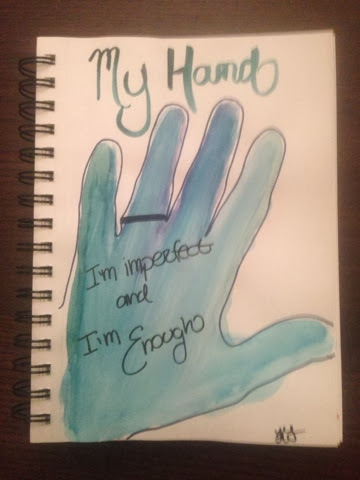 I am learning a lot about vulnerability (its a tough one for me) right now and am learning that I am good enough. Side note - if you have not watched Brene Brown's Ted Talk called The Power of Vulnerability - watch it now! When I started this blog it was about sharing fun stories that are happening and the accompanying photos. Somehow I have morphed between fashion, make-up, food, travel and so much more. Part of the continuing transformation is being okay with who I am and what I want to share. But part of the continuing transition of this blog was trying to conform to the angle other bloggers were taking and ultimately trying to fit in. I am also a fiercely private person that doesn't like to share too much but...my life is absolutely AWESOME and I should feel totally comfortable with this blog just being me. I also love this public journal and love looking back. Ultimately I wanted to monazite this blog but if just being me means it will ultimately be my journal then that's good enough for me. 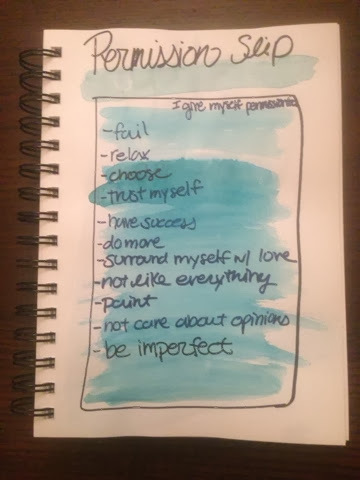 I am giving myself permission to Be Imperfect as well as lots of other things. As a perfectionist it makes me cringe to say that statement, but ultimately we are all imperfect and the more I understand it the easier life can be! Follow your vision to achieve your goals! Winter wonderland in the woods!